Brown rice adds wonderful flavor, texture, and nutrition to this easy recipe, and pesto makes it even better. This easy and tasty recipe is great to make on a cold fall or winter day and serve with velvety mashed potatoes and green beans. Instant brown rice is needed in this recipe because it has to soften while the meatloaf bakes. Regular rice would just stay too hard because there isn't enough liquid in the recipe and the meatloaf doesn't cook for hours. So don't try to substitute another kind of rice in this dish! 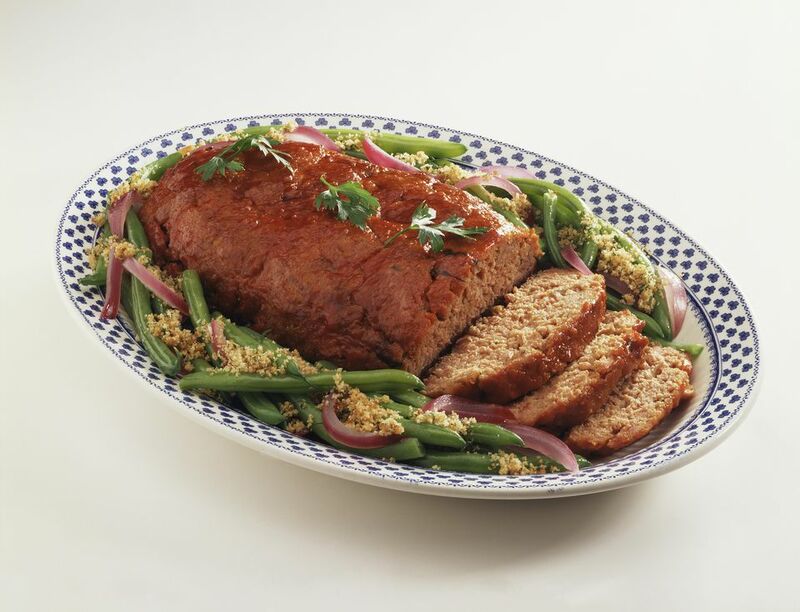 To make the best meatloaf, always combine all of the ingredients except the meat first and mix well. then add the beef and mix gently but thoroughly. Your hands are the best tools for this job. Then gently form the mixture into a loaf and bake it. Wash your hands well after handling raw meat. Meatloaf is always better if you let it stand for a few minutes before slicing it. This gives the loaf time to reabsorb some of the liquid that was baked out so it is moister and will slice more evenly. The slices will be neater if you let it stand. Just cover the loaf with foil and get the rest of the meal ready; then slice, serve and dig in. In a heavy skillet over medium heat, cook the onion, bell pepper, and garlic in the olive oil until tender, stirring frequently. Place this mixture in large bowl along with the uncooked rice, salt, pepper, egg, basil pesto, and milk, and mix well using a spoon. Add the ground beef and cheese to the ingredients in the bowl and mix gently with your hands until combined. Form the beef mixture into a loaf shape and place on a broiler pan with slits for the fat to drain off.